For this reason, thanks to the prestige and unique position of the city of Venice, participants have the opportunity to engage critically and actively in current debates in curatorial practice and contemporary art and to operate in the Biennale context, incubator for excellence and innovation. The course leads students to practically learn the job of a Curator in all its forms, also thanks to an international Faculty that includes some of the most prominent professionals of the art world. This way, participants get to know the curatorial methods that institutions such as Peggy Guggenheim Collection, Fondation Pinault, Fondazione La Biennale di Venezia and Christie's apply. Get an insight: find out more about Master's activities. Target - This study path is designed for graduate students who want to specialise in the curatorial sector, and take on their professional career in museums, galleries, fairs or auction houses. Previous studies in the field of Arts and Management are a plus but not required. Career opportunities - At the end of the Master course, participants may pursue careers in museums and not-for-profit galleries as well as in commercial galleries, fairs, and auction houses. They also consider roles in emerging areas such as criticism, education, consultancy, and artist studio management. Methodology and structure - The duration of the course is divided as follows: seven months of lectures, lab activities and museum and gallery visits, integrated with self-study and project development, and three months dedicated to the elaboration of a Final Project that can be undertaken alone or in group. Cultural area - The first part provides students with a solid introduction to the history of modern and contemporary art and a critical analysis of recent trends. to develop real project’sproposals, that will be part of their personal portfolio together with their Final Project. This introduction provides a clear pathway for the course, a survey of the forthcoming modules, whilst raising fundamental questions about the institutions of art. It sets an analytical, critical tone for the course as a whole. Artistic gestures made during the emergence and development of modernism continue to have strong resonance in all aspects of contemporary art experience - practical, critical and curatorial. The proximity of the Guggenheim Museum, one of the most remarkable collections of modernist art in the world, is an invaluable asset to this course and provide students with first hand encounters of seminal works, as they develop an understanding of modernism as a movement, c.1900 – c.1980. The linear trajectory of modernism was disrupted by post-modernism, c.1980 and the visual arts – inspired especially by feminism - came quickly to embody an extraordinary diversity of styles, propositions and practices arising from a wide international range of cultural traditions. Contemporary art is informed largely by post-modernism, as demonstrated by this module. The impulse to build museums, institutions for the caring of artefacts and other objects of cultural significance, was quickened during the Enlightenment, and is very much a feature of modernist and postmodernist times. This module investigates the rise of museums, especially art museums, around the world, raising vital questions about their relevance and function. From the late 19th century up to today, different but all influential theories of culture have inspired the art world and mainly shaped the last five decades of curatorial practice. This section combines the theoretical and philosophical base with case studies of curation and criticism. There is a seemingly endless variety of art exhibitions. Having their origins in the salon exhibitions of the 18th century, especially in France and Britain, they now range from small artists’ initiatives to massive undertakings such as the Biennale di Venezia. Besides providing a brief history, this module focuses on a number of seminal exhibitions such as When Attitudes Become Form (1969), Aperto ‘80 (Venice Biennale), Magiciens de la terre (1989) and Cities on the Move (1997). This module focuses on the variety of kinds of exhibitions being made now – e.g. monographic exhibitions and retrospectives; group shows based on ideas of national representation and other themes; and biennials, triennials and other international exhibitions – with consideration of what it is that makes them distinct and timely. The 16th Architectural Venice Biennale, coinciding with this course, provides numerous case studies. Exhibition organisation requires careful planning in a number of areas. Besides the development of a proposition – why this exhibition, what exactly etc? – there is much to take into account, including artists’ involvement, the venues and other contexts and resources available. This module also provides an introduction to those that follow concerning audience development, related learning and public programmes and publications. Often contemporary art is commissioned – for exhibitions, public art programs, architectural schemes etc. – and this module addresses the kinds of processes involved through consideration of case studies. Special emphasis is given to fundraising, becoming increasingly vital for commissions and art projects generally, through donations, sponsorship and grants. Visual art, paradoxically, involves a lot of writing. Project descriptions are required for proposals, fundraising and related reports, promotion and interpretation. In addition, texts are required for exhibition catalogues - introductions, essays etc. – and a variety of other related publications. This module also concernes the business of publishing, including graphic design and print production. Art is about audience response as much as artistic gestures. Learning activity is undertaken in order to develop audiences, providing opportunities for the enhancement of artistic experience for both specialists and those who are new to art, of all ages, from a wide range of cultural backgrounds. 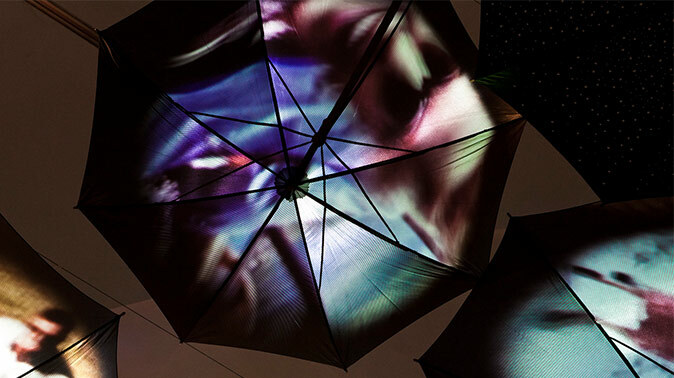 This module concernes the devising of learning and public programs, taking into account the nature of the art project, the organising institution, and existing and potential audiences. This module concernes audience development through marketing and public relations, concomitant with learning activity. The promotion of art projects and programmes to a large extent determines the size and types of audiences, either attending or following through media, increasingly online. Also critical response, e.g. reviews, is significantly affected by marketing and PR, according to how effectively they convey the proposition of the art project and the organising institution. Biennials, triennials and other such international exhibitions are increasingly important, attracting large audiences to particular cities. Often initiated to boost tourism or urban renewal, they are platforms for current artistic and curatorial practice – in the best cases, providing audiences with an informed understanding of aspects of contemporary art. This module will capitalise on the proximity of the Venice Biennale and the presence of many international curators in the city during the event. Non-profit art organisations and the commercial art world are mutually dependent, with the strength of the latter noticeably increasing in these days of globalised economies, as evidenced by the rise of art fairs, multi-national galleries and auction houses. Significantly, a number of art galleries now present exhibitions that are as authoritative as museum shows. This module investigates those institutions that are concerned essentially with the selling of art. The last part of the Master course is dedicated to curating activity and exhibition design. Students, in group or alone, work on specific curatorial ideas so to develop real project’s proposal, in collaboration with international curators. Jonathan Watkins has been Director of Ikon Gallery since 1999. 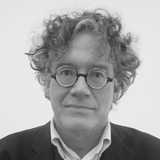 He has been working in London for years as Curator of the Serpentine Gallery and Director of Chisenhale Gallery. He has curated a number of large international exhibitions including the Biennale of Sydney, Quotidiana, Tate Triennial, Shanghai Biennale, Sharjah Biennial. 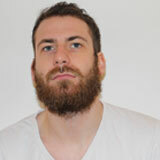 He was on the curatorial team for Europarte, Milano Europa 2000 and Riwaq . He curated the Iraqi Pavilion for the Venice Biennale 2013 and has written extensively on contemporary art. Since 2014, he is Curator in Chief at The King Abdulaziz Center for World Culture, Saudi Arabia, where he has been investigating the relationships between cultural identity and public censorship across the Gulf Region. His research focuses on the broader field of cultural ecology through socially engaged art projects and exhibitions. 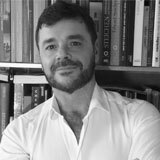 He is also author of articles for art magazines and blogs, and he wrote a series of essays that has been collected in more than fifteen publications. Director at the David Roberts Art Foundation Limited, Curator of Art Night 2017 in collaboration with the Whitechapel Gallery and Unlimited Productions. She is Curator of Miart Talks 2018 with Joao Ribas. Formerly, she acted as Associate Curator for the 10th Gwangju Biennial, South Korea. 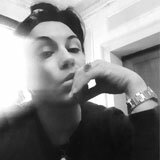 She is founding member of Association of Women in the Arts (AWITA); on the Block Universe Advisory Board; member of AICA UK, and ICI Alumni, and part of the Curators Network. 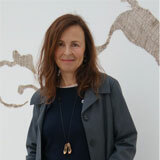 She contributes regularly to international art magazines, publications and exhibition catalogues. Art Historian with an MA in Museology. 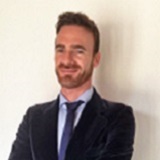 He collaborates with the Reina Sofía Museum in Madrid since 2006, first as Curator of Photography Collection, then as Responsible of Institutional Relations for the Collections department. He is author of essays and articles about photography, contemporary art and museology. She studied in Washington D.C, Berlin and London and started her carrier with Francesco Bonami at the 50th Venice Biennale, working later as curator at the Villa Manin Centre for Contemporary Art. 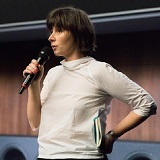 From 2012 to 2017, she directed Artissima, international fair of contemporary art in Torino, and contributed to making the fair one of the most experimental events of international contemporary art scene. She collaborates with Italian and international universities and her publications includes monographs on Jeff Koons (2006) and Gabriel Orozco (2008). She is a Curator obsessed by promoting contemporary art among the public and discovering emerging talents. Her interdisciplinary approach enables her to range from the artistic direction of institutional pavilions, such as Expo Gate for Expo Milano 2015, to projects such as Il Crepaccio, a Milan showcase for young talents. Corbetta jostles curating shows and public projects for international companies and institutions such as the Moderna Museet of Stockholm or Performa in New York with contributing for a variety of magazines such as Mousse, Vogue Italia and Domus. 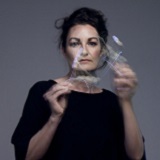 She is Art Critic and Curator, based in Beirut and Paris. 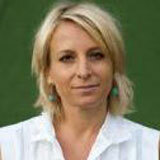 From 2005 to 2011, she is Director of the Cultural Department of Jeu de Paume, Paris. From 2012 to 2016, she is Teacher of Film Theory at École Superieure des Beaux-Arts in Bordeaux. Since 2014, she is Director of Beirut Art Center, Beirut. As a Curator she worked with Allan Sekula, Yto Barrada, Claude Closky, among many others, and published extensively with Greyroom, JRP Ringier, Editions de l’ENSBA, Electa, Cahiers du MNAM and Texte zur Kunst. For over twenty years, she has been a practicing artist working across installation, film, sound, photography and sculpture. McMillan has been shown in, and collected by, major museums, biennales, festivals and institutions around the world. She undertook residencies in London, Tokyo, Basel, Berlin, Sydney, Beijing and Hong Kong, and she taught at universities in Australia and England since 1999 including University of Creative Arts, Farnham, Coventry University, Open University, Australia and Curtin University, Australia. She is Assistant Curator at the Peggy Guggenheim Collection. She worked on and contributed to the catalogues of exhibitions organized in Australia (2010) and Chile (2012) centered on Peggy Guggenheim’s collection of Surrealist and abstract art. She is curating 1948: The Biennale of Peggy Guggenheim, to open in May 2018 inside the 'Project Rooms’ of Peggy Guggenheim Collection. 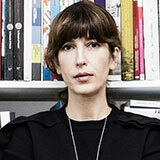 Actually part of the Curatorial and Research Department of Fondazione Prada in Milan, Eva Fabbris is an art historian and curator. Previously, she was curatorial assistant at Museion in Bolzano, adjunct curator at Galleria Civica in Trento, and she curated solo and group exhibitions for international institutions, among which the Nouveau Musée National de Monaco in Montecarlo and Triennale di Milano. Contributor on Moussemagazine, L'Officiel and Flash Art, from 2013 to 2016 she coordinated “Back to the Future” session of Artissima Art Fair in Turin. He has worked for several years in the art galleries market, with focus on German 80’s abstract expressionism. Today is Art Editor for ClassCNBC and anchor for “Top Lot, live auctions”, TV program in partnership with Christie’s and Sotheby’s. Anchorman for important events, he collaborate also with Class, Gentlemen, Flashart Arte, e Antiquariato monthly magazines. 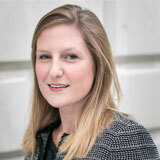 She currently works at The Courtauld Institute of Art in London as a Senior Development Manager on the Major Gifts team. 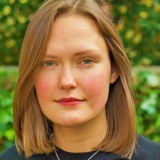 She is Responsible for Managing Relationships with high-net-worth individuals, trusts and foundations, and companies, and leads on all exhibition sponsorship at The Courtauld Gallery. Gallerist and Curator, she opened AREA / B space with the intention of creating a place for research and promotion of the latest trends in contemporary art, with particular attention to emerging young artists, including Massimo Gurnari, Gray, Vanni Cuoghi, Pierpaolo Febbo, Silvia Negrini, Paolo De Biasi, Tiziano Soro and Michael Rotondi. Italian Artist based in Florence, he explores the processes and strategies regulating the production of contemporary artworks. He exhibited and performed his works at Carroll/Fletcher in London, Mart in Rovereto, ZHdK in Zurich, MARS Gallery in Melbourne, MAMbo in Bologna and Museo La Ene in Buenos Aires, among the others. 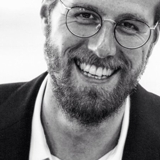 Curator, Researcher and Author based in Berlin. Currently, she is collaborating in the long-term project Kanon-Fragen at HKW, where she contributes as Co-curator of the exhibition Parapolitics: Cultural Freedom and the Cold War. Among others, she has been Co-curator of the Latin American Pavilion at the 55th and 54th Venice Biennale (2013 and 2011), while in 2015 - 2016 she was lecturer of history of exhibitions and collections at Heidelberg University, Germany. Exhibition Coordinator at Centro Pecci (Prato, Italy), where she has been in charge of the opening show The End of the World, and where she had conceived and coordinated the on-going mapping project TU35 Geography of Emerging Arts in Tuscany. Previously she collaborated with V–A–C Foundation, Casa dei Tre Oci, Piotr Uklanski Studio, UK Pavilion at Venice Biennale, Palazzo Grassi and Imma, in Dublin. 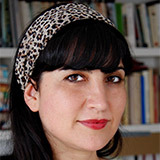 Art and Design Historian, she holds a Phd in Museology of Design beeing visiting researcher at the Istanbul Bilgi University and SALT. After the specialisation at the World Heritage Center of UNESCO in Paris, for her BA thesis she received a grant from the University of California Santa Barbara, where she studied feminist art critics, visual arts and photography. Current research interest’s aim at studying themes related to the intersections between arts, design and architecture and explore the ethical and educational role of curatorial practices. Professor of History of Art and Architecture, educated in TUAthens and the Bartlett University of London. 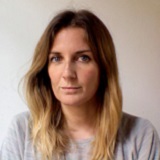 She is also an awarded Architect, specialised in the role of museum design within urban regeneration processes. 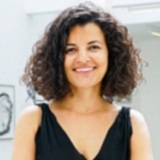 Since 2014, she is Commissioner for the Cyprus Pavilion at the Venice Biennale and is currently Curator of the inaugural exhibition celebrating Cyprus as European Capital of Culture in 2017. Exhibition Registrar, she works as Head Registrar for the Venice Biennale from 2003 to 2016. Then, she starts a new experimental project, together with a collective of professionals providing highly qualified services in the field of logistic, set-up, maintenance and conservation of artworks. 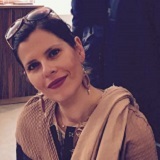 Coordinator of the advanced course in Profession Registrar at IED Venezia, she also collaborates with many important cultural institutions as Fondazione Prada, Hangar Bicocca etc.